Firstly I would like to thank Roon for the 6-month membership in order to test the program out and give my honest opinion. At its core, Roon is a media player just like iTunes, MediaMonkey etc... However it does so much more than any of the other media players out there. Firstly you have the Roon core, which is the central Roon hub; it can be a music server or PC. This core manages your music library from internal storage/NAS drive/USB storage and also Tidal. From there, providing the core is powered on, you can access all the media on any device that is on the same network. 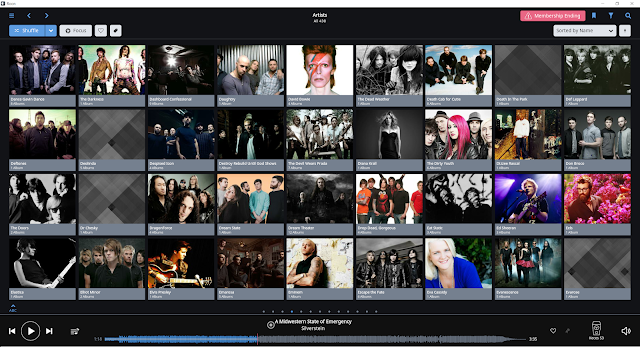 I will mainly be focussing on Roon as a media player on my laptop, as that is my central music player and core. First off installing Roon is easy, then you point it towards the storage where you music files are and it’ll import them and organise your library for you (updating metadata etc). The interface is slick and intuitive, but once you get under the surface you realise how powerful a tool Roon is. For starters, using most other media players you are limited to one DAC hooked up at a time. Roon supports zones so you have have multiple DACs hooked up to one PC and switch between them, this also allows multi-room setups providing you have a network linked output (DAC with network support, or a network media player/speakers). Roon supports tons of devices, and there is big list of the main ones on their website. Setting up the output is also excellent, as Roon can test the maximum resolution the DAC can handle, and you can ask it to downsample if required. You can also set it to fixed volume, DSP volume or WASAPI volume. There is a powerful DSP engine if you want to tweak your output too, along with pre-set EQ’s for Audeze headphones. The overall interface is attractive, you have all the normal options to find the music you want, Roon also gives suggestions to similar artists when you are browsing through your music. I have been a user of Mediamonkey for a number of years now, but Roon looks so much more polished and is so much more powerful. 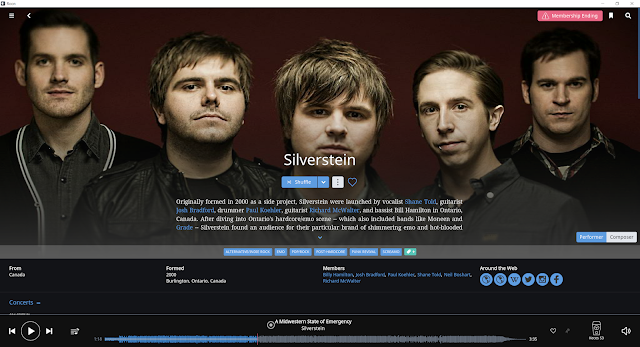 Roon gives you artist info when you click into it, along with lyric support, and links to the artists Wikipedia/twitter/facebook/website is available. Using the mobile app on Android is a breeze, it’s great to have access to your whole library throughout the house and have different zone so you can have one central storage database and stream lossless over the network to anywhere in your house. I cannot detect any sound quality difference between Roon and Mediamonkey, Roon takes full control of the DAC in exclusive mode if you let it. Roon also has a little light next to the track that is playing, orange meaning the track is lower than CD quality, and purple meaning it is a high quality file (something neat and quite useful). I have been using Roon for nearly 6 months now as my go to media player, it is just so slick and easy to use, yet underneath lies a very powerful platform providing all you need for multi-room setups and much more. The way it cleans up your library and presents it in an immersive and informative view is excellent. Ok, so Roon is not cheap, but if you are looking for a single solution for a media player along with network access and Tidal support, it really is all you need. My time with Roon has gone so quickly, and I have enjoyed every minute of it. Roon is really the only media player you need.